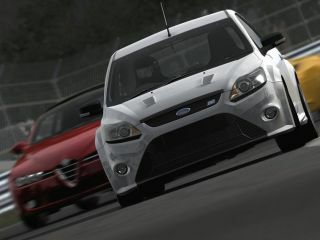 Forza 3 will push the Xbox 360 further than ever before, according to the developers, with group product manager and Turn 10 spokesman Steve Beinner suggesting that it is the best looking game to date on the Microsoft console. The forthcoming car racing simulator is hoping to build on the success of Forza 2, but despite being on the same platform, Beinner explained that the developers have learned how to wring more out of the Xbox 360. "This most definitely pushes the Xbox to a whole new level," Beinner told TechRadar, as UK journalists got the chance to try out the game. "The developers explain it like Tetris – they have worked out how to put the blocks together in a way that gets more out of the Xbox 360." Turn 10 is one of the games studios brought under the Microsoft umbrella, and Beinner believes that this have given the game a leg up in terms of what it can get out of the Xbox. "As a first party games producer we obviously have the chance to work closely with people like Lionhead and Rare and share information. Between all of the developers they have worked out a way to push it as far as they can." "It would be a bold statement to say that this is the best looking game ever on the Xbox – and I know that a lot of that comes down to personal opinion – but it's certainly stunning." As well as more events and more cars, Forza 3 brings a 360 Hz physics engine which can deal with the way in which the tyres move as they grip the road. "If the physics aren't right then the whole sim is flawed," added Beinner.